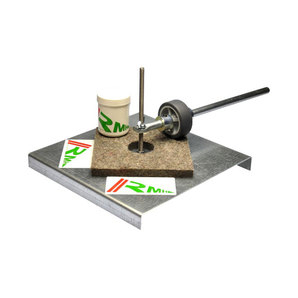 We can notify you by e-mail when this product is back in stock. Just provide your e-mail address in the form below. You will receive one e-mail once this product is back in stock. Afterwards your E-Mail address will be removed from our database. Here it is: The BLACKARMADA tire! The Successor of the legendary Nordic and Cross Skating Tire ROADSTAR. 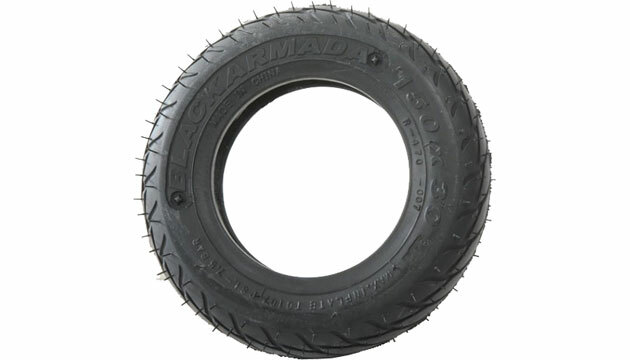 The BLACKARMADA tire can be compared to the Roadstar tire by Kenda and leaves for example the regular Skike tires far behind. We have tested the tire for several months and are very sure that Nordic Skaters and Cross Skaters will love it. Size 156 x 33 mm = 6 x 1.25"
The BLACKARMADA tire fits Skike V07, Skike V07 PLUS, Skike vX SOLO, Skike vX TWIN, SRB XRS02, SRB XRS03 and Powerslide Nordic Trainer, XC Trainer, XC Path 1.0 (not 2.0 frame! ), XC Trail** and other Skates that use 6 x 1.25" tires such as Fleet Skate. Please mount the tires that the arrows on the tire tread point forward from the Skaters point of view. 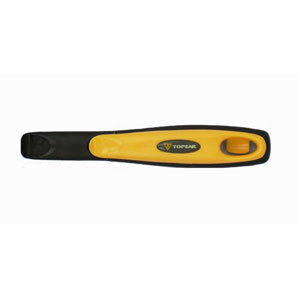 Since the tire is extremely durable and stiff it is best to use a tire tool like this one. Please note that because the tire has thicker walls than for example regular Skike tires you can not use the Skike mudguards together with the BLACKARMADA tire.